Self-Service Provisioning – You have the flexibility of spinning up computing abilities for almost any type of job on-demand. Elasticity –You have the freedom ofscaling upresources when your need increase and then scale down when your demand goes down. Pay Per Use –All resources used are measured in a granular level. Thus you would only have to pay for what you use. All resources used are measured in a granular level. Thus you would only have to pay for what you use. When we talk of public clouds we basically refer to the Internet. Here service providers offer you different kinds of resources that include storage, SaaS (Software as a Service) to the average users on what is known as ‘public clouds’. IBM’s Blue Cloud, Amazon Elastic Compute Cloud (EC2), Sun Cloud, Google AppEngine and Windows Azure Services Platform are some of the examples. The advantage of these public clouds is with the cost as service providers bear the cost of applications, hardware and the bandwidth. In other terms their advantage lies in terms of economies of scale where you where you basically pay for what you use in terms of the capacity of the cloud under a pay-as-you-go model. For all the advantages that these clouds offer, there are however some limitations to using public clouds. These limitations are in terms of customization and configuration, SLA specificity and most importantly security. So if your business relies on the use of sensitive data these clouds may fall short of the compliance standards. This model basically shifts the data centre to the cloud. Here a single company or a group would own the entire centre architectures that allow it complete control over security, scalability, flexibility, provisioning, automation and monitoring of the cloud. Unlike the Public clouds here they don’t sell it “as-a-service” but solely own control over the entire data centre. Naturally Private clouds are highly expensive due to the lack of clients for these services. These are often out of bounds for most small and medium businesses and used only by the large sized enterprises. These are mostly used by businesses that deal in highly sensitive data that needs to be protected by a strong firewall to meet different regulations and compliance standards. Most business organizations cannot afford to maintain off-premise disaster recovery site as this isn’t economically viable for them. Lower cost solutions and other alternatives don’t quite offer the same flexibility and scalability as they lower the spectrum an organization can access thereby reducing the ability to recover data. Cloud based Disaster Recovery (DR) and Business Continuity (BC) services are ideal for small and medium businesses as they allow you to access these services at reduced costs. Managed Services Provider offer you DR and BC services at low costs as they maintain multi-tenant infrastructure helping your business get back to its optimal operations efficiency quickly. Clear Computing is one of the Cloud Service providers in the United Kingdom and deployed these solutions for businesses of different sizes utilizing Microsoft 365. This has allowed us to reduce the costs and deliver dynamically expanding resources’ for the custom needs of different organizations. 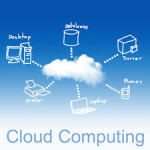 Clear Computing offer a wide range of cloud based solutions to fit the needs of businesses and schools of all sizes. We hold key partnership with organizations such as Microsoft to deliver the right solution for your needs. 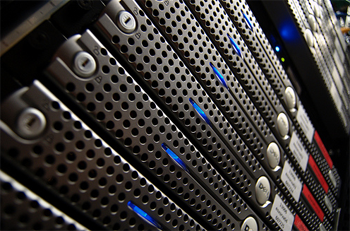 The services of Cloud Computing for Small Business in the UK can be private, public or hybrid.